If you had asked Erika a few years ago what her Dream Career might be, owning a store would have been at the top of her list...but it wasn't until after she became a mom in 2013 that she thought seriously about changing her career path and opening a bookstore. Erika and Jeff moved to Roscoe Village in the summer of 2013 and immediately fell in love with the neighborhood, so there was never any question where the bookstore would ultimately be. Erika left her previous job in March 2014 and spent the next several months doing research, finding the right space, and readying the store. 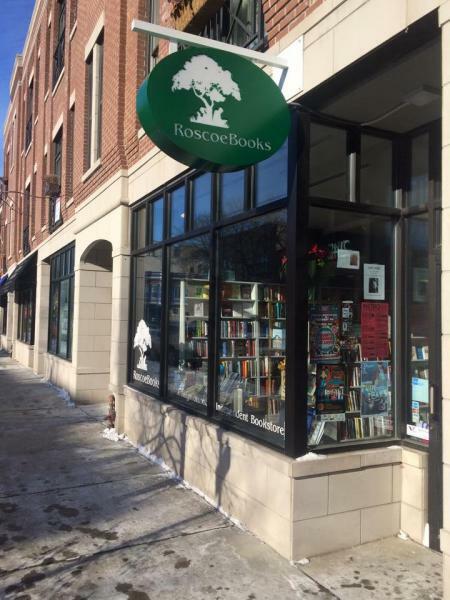 Finally, on November 21, 2014, RoscoeBooks opened to the public. We could not be happier or more grateful for the support we've received from our community.